Happy Friday, party people! We're excited for another weekend!! Oh Henry, my little chunkey monkey. He had his 9-month checkup on Tuesday. 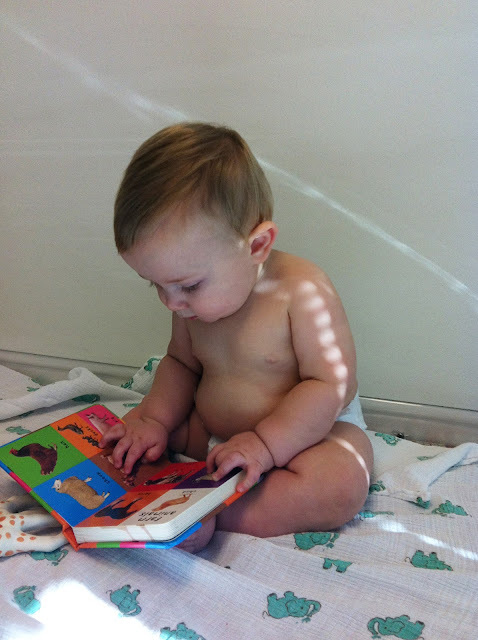 He's a healthy little thing:) 22.9lbs and 29 inches= 83rd and 75th percentiles! 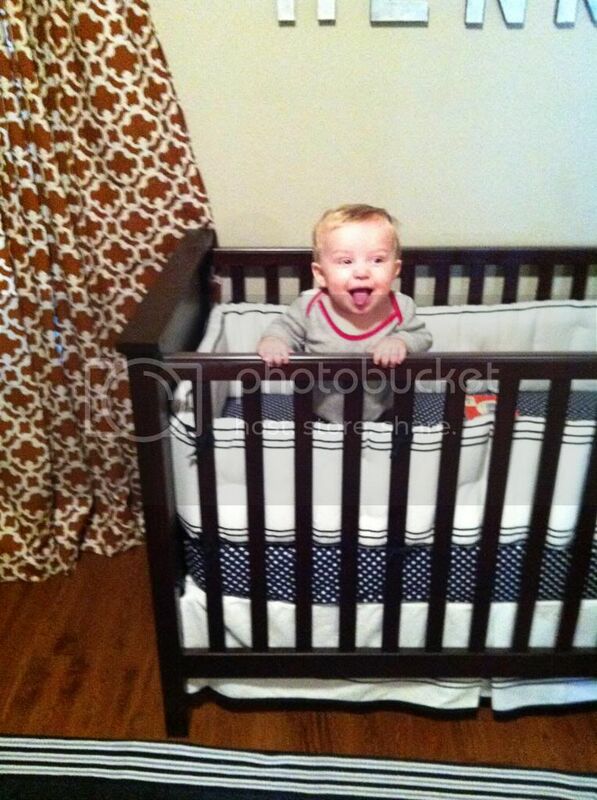 This little peanut also finally figured out how to pull up in his crib. 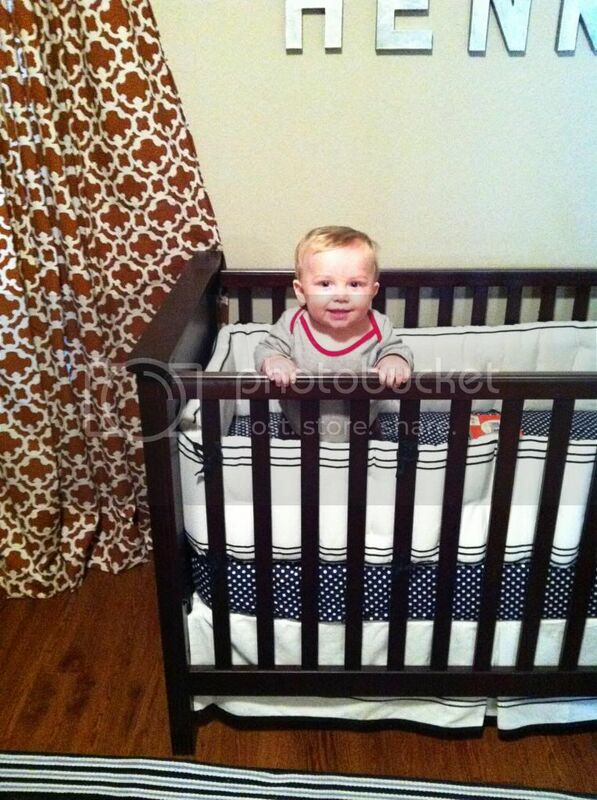 I'm loving the fact that he's not very mobile yet, so this makes me a little sad:( Time to lower the mattress! Luke 2, watch a Christmas movie, etc... I love the idea of a bunch of fun family dates! 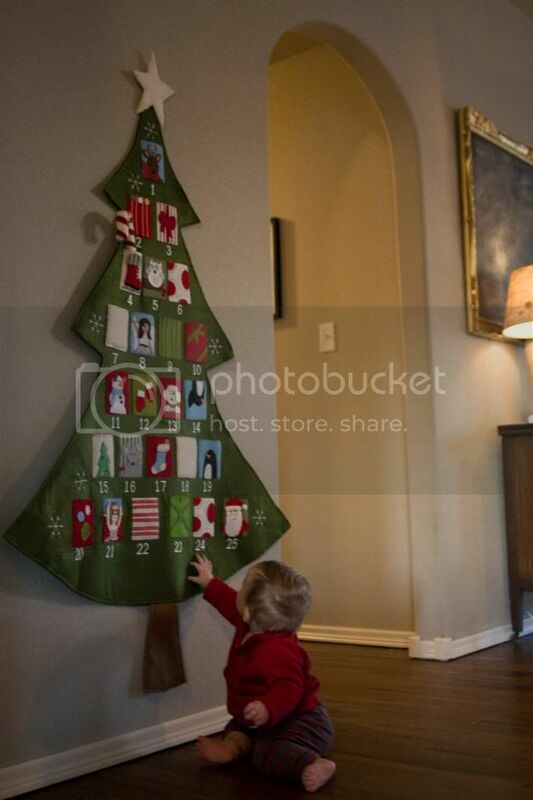 My Friend Natasha has an awesome list of Advent activities on her blog. This is so stinkin' cute. Who doesn't love Jimmy Fallon and vintage Mariah Carey's music? My tree is all decorated, I may do some kind of big bow as a topper because we don't have one, and I can't find any I like. Also, the stockings are up but I still need to decorate the mantle! 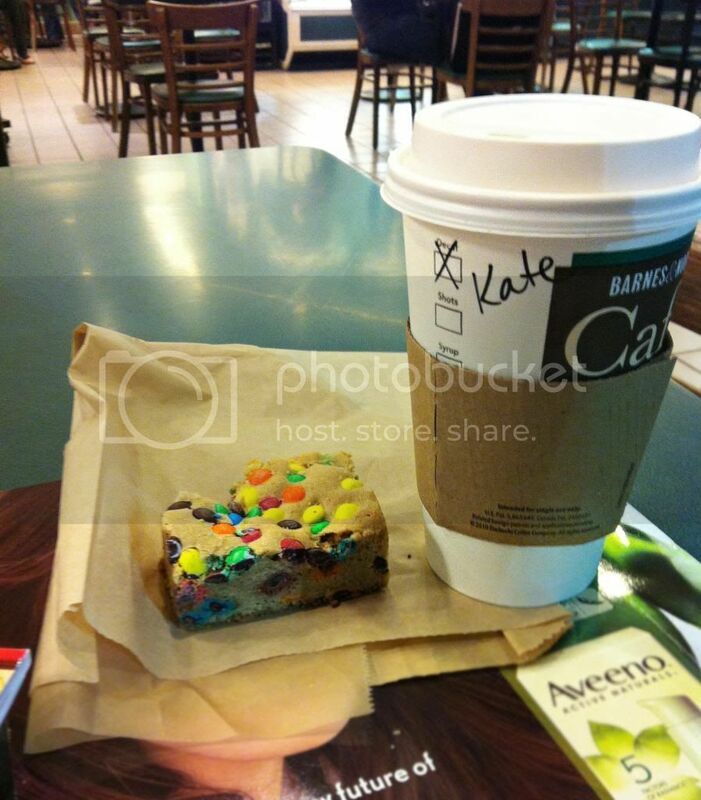 I took myself on a coffee date last night. Henry was fussy all day and Mama needed a break. Coffee, magazines and some baked goodness did the trick! I'm embarrassed that I care so much, but I'm SO excited about a new royal baby! Kate Middleton is just so lovely and I can't wait to see her pregnant and hear the baby name! 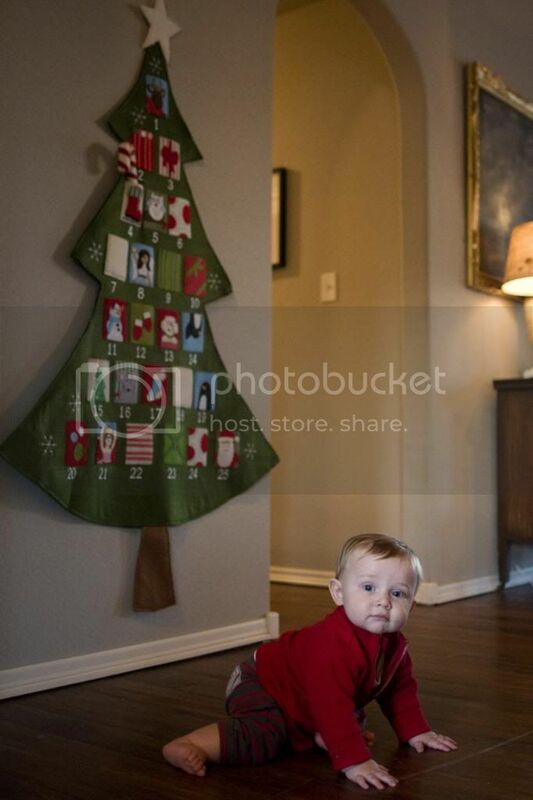 I'm hoping we make it to see Santa this weekend- I can't wait for Henry's first picture with the big guy. I plan to frame them and put them out each Christmas. Well that's all for now, it's been a pretty good week. Hoping for a great weekend. We're kicking it off with a family burger date tonight!